"Thank you again for the outstanding presentation this morning. 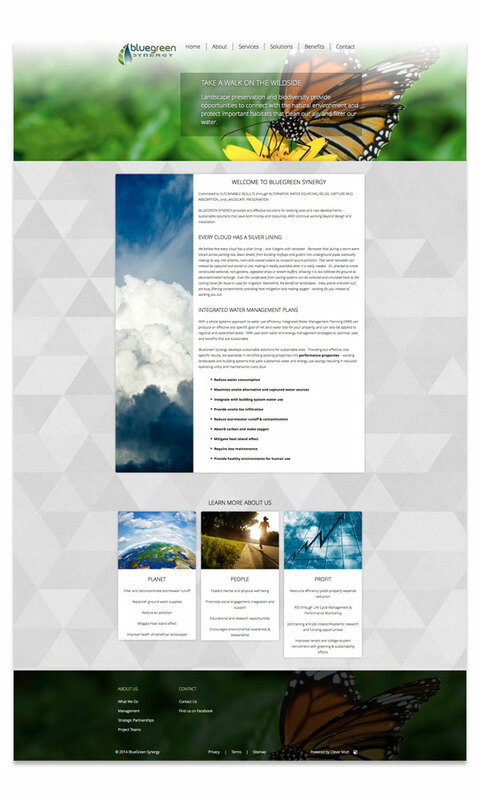 I am very excited and inspired by your creativity and am looking forward to the final results." 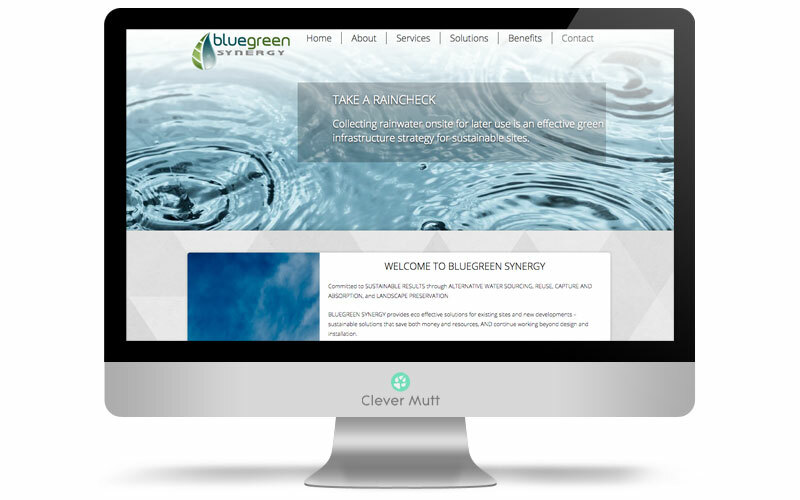 Bluegreen Synergy hired Clever Mutt™ to provide a parallax scrolling website makeover powered by the Clever Mutt™ portal web CMS for self management. 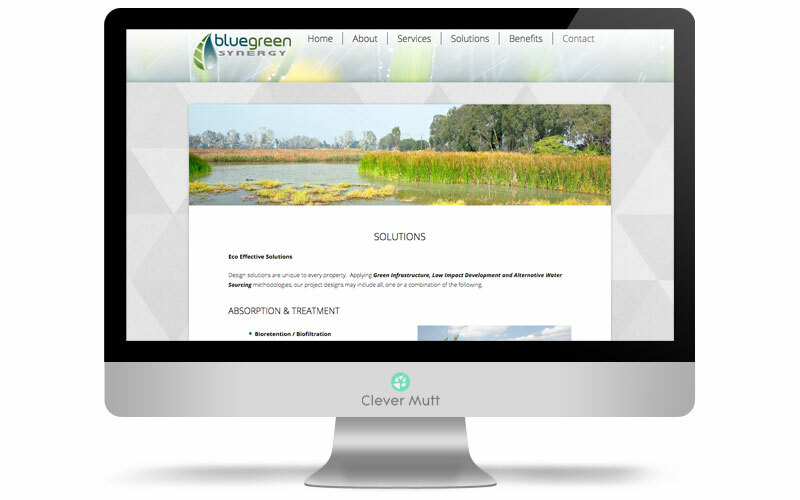 BlueGreen Synergy offers site-specific applications involving decentralized, integrated stormwater management (iSWM) and performance based landscapes for existing commercial properties.